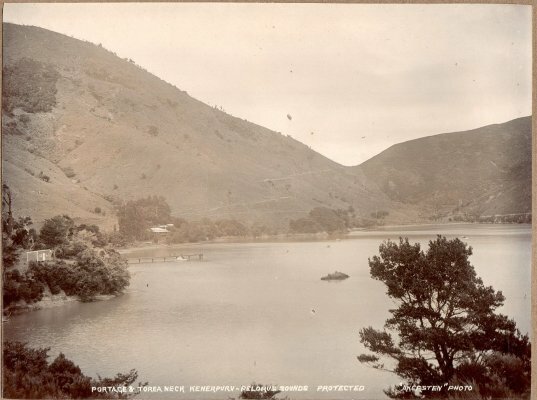 Description Page 16 of 36: Sepia view of Portage and Torea Neck, Kenerpuru (sic) Kenepuru-Pelorus Sound. Protected [no date] Akersten photograph. There is a large house, possibly the Portage Hotel or Accommodation House, in the trees in the distance and a wharf and boat shed in the foreground.